We need your help to make this event the best one you've seen. Help us spread the word! 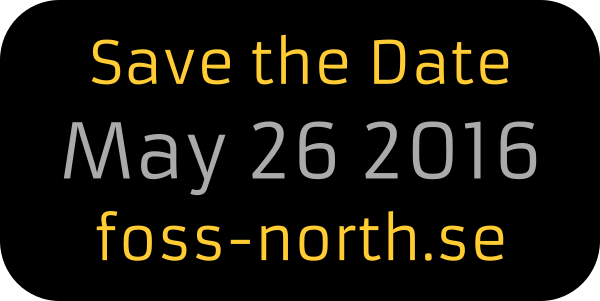 Talk about this event using the #fossnorth2016 hash tag. Download and print the poster and hang it somewhere visible. Help out by embedding banners on your site or blog! We are looking for audience, sponsors and speakers, so reach out to your network and tell the world about foss-north!